Do you need talented English voice overs? Inter Voice Over has more than 3000 unique English voice overs for you. A really professional English voice over with more than 16 years of international experience works for exclusive global players such as CNN, BBC, Discovery Channel, HSBC amongst others. Marcio has a smooth and authoritative baritone voice. Marcio has a caring, friendly, sensuous, warm and informative voice. With over 15 years of experience, this American English voice over has booked thousands of jobs of every conceivable type: Animated Feature films, TV narration, Commercials, Promos, Video Games, Telephone systems, Sizzle Reels, Translations, eLearning Modules, and over 125 audiobooks. This British voice over has recorded for many real estate and luxury product projects, including Aston Martin, Sotherby's, even Dracula's Castle when it was for sale! From children's stories, to cartoons, to business voiceover, E-learning and voice on hold. This British voice over talent has a diverse and extensive experience, and have worked with clients across the world, including the BBC, commercial radio, Victoria's Secret, Sunday Express Newspapers and many, many more. She has immediate access to full, broadcast standard studios and can complete projects within 24 hours or sooner. As a broadcast journalist over many years this Australian English voice over can take on many styles. She can be whimsical and breezy but is often called upon to present a warm, friendly, authoritative and credible feel to projects of different genres. Our service goes much further than other agencies. 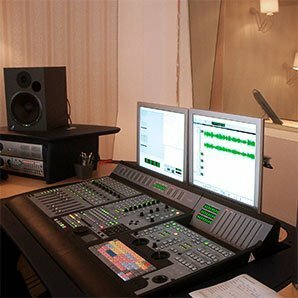 We translate your scripts, advise you which voices to book, take care of recordings and deliver them to you as you need.